Are Dads Better Than Moms? | Breezy Mama Breezy Mama - Expert parenting advice, celebrity interviews, product reviews for kids, moms and babies and more! Yes, I’m aware that you read that headline and spit out your coffee with part disbelief and part laughter. How could Breezy Mama ever imply such a notion? In fact, I have read a few articles lately saying how the care-free parenting approach stereotypical with fathers can benefit children in the long run and those raised by a stay at home dad have an advantage over those children stuck with us uptight, play by the rules moms. For real? Turning to Child and Family Psychotherapist Dr. Fran Walfish, I just had to get to the bottom of this obvious rubbish… kidding… kind of. A few articles have come out in the press comparing moms to dads lately, saying dads are more care-free in their parenting. For example, dads don’t mind if a child gets muddy, which, in theory allows them to explore and use their imagination. Meanwhile, a mom might stereotypically encourage the same child to slow down, not get hurt and not to ruin their outfit, which, in theory, teaches them to be cautious and to care for things. What are the advantages to both types of parenting? Forgetting stereotypes and taking gender roles out of it, what are the benefits of a relaxed parenting style? The benefits of a relaxed parenting style are lower levels of anxiety in the child (and the parent); freedom to explore the environment without fear; development of a more gentle (benign Superego) conscience and guilt system within the child; less parent/child conflict and fighting; and a calmer atmosphere in the family and home. What are the benefits to the more practical parenting style, for example, the person who may not have the time to wash another muddy outfit or be able to afford a new one? One of the benefits is that some children emerge as more independent. For example, the practical person who may not have the time to wash another muddy outfit or be able to afford a new one may raise a child who washes her own muddy outfit. By default, the child learns to depend on herself. What positive attributes does a father who stays home with the child generally bring? The answer to this question is individually specific. For example, I am currently working with a family in which the dad stays home with the children while professional mom has a demanding full time career/job. This father is funny, warm, nurturing, attentive, and fun. It’s not always this way. 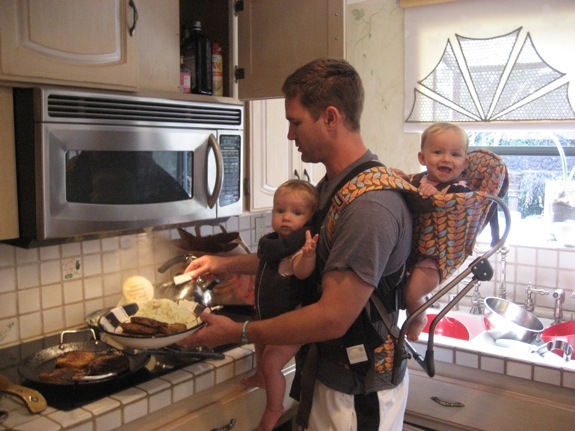 Some dads prefer to be out in the workforce and resent staying at home with the kids. They are distracted and fully content with their positions. These dads do not provide a benefit to the kids. Today, the same comment as I stated above about dads applies to moms. Everything depends on the individual personality and circumstances of the parent. In general, moms are more nurturing and selfless regarding their kids. Dads generally foster more sports and independence in their kids. But today it is dangerous to categorize in this way. Men and women’s role have shifted over the generations. Frances Walfish, Psy.D. is the foremost Beverly Hills child and family psychotherapist. Her caring approach, exuberant style, humor, and astute insights have earned her a sterling reputation among colleagues and national media alike. 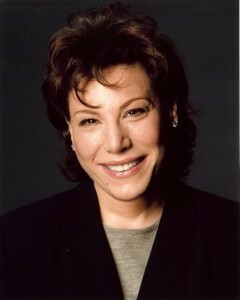 A frequent guest on top-­tier TV programs, including NBC Nightly News with Brian Williams and KABC-­TV in Los Angeles, The Doctors, CBS and often appearing in major publications such as Parents Magazine, Family Circle and Woman’s Day, Dr. Fran continues to lead the field with her expert insights and innovative strategies for parents, children and couples. Her current book, The Self-­Aware Parent: Resolving Conflict and Building a Better Bond with Your Child from Palgrave Macmillan’s/St. Martin’s Press, December 7, 2010, is receiving acclaimed reviews. William Morris Endeavor and Lake Paradise Entertainment are presently collaborating with Dr. Fran to produce a television series offering therapeutic guidance and help to families in America. More information on Dr. Fran can be found online at DrFranWalfish.com. To order Dr. Walfish’s book ($11.56 on Amazon), click here.